This is a term a lot know, some have heard of and a few of you may be googling it as you read this. It is a time of year where things can just seem to be a little "off". 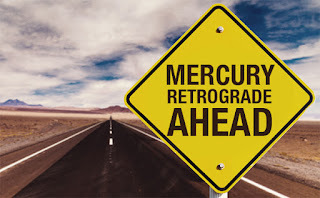 About 3 to 4 times a year Mercury comes close to earth and once it hits a certain spot it "appears" to go backwards leaving the earth and all of us on it to feel its effects and get thrown off track for about 3 weeks, sometimes a little longer. 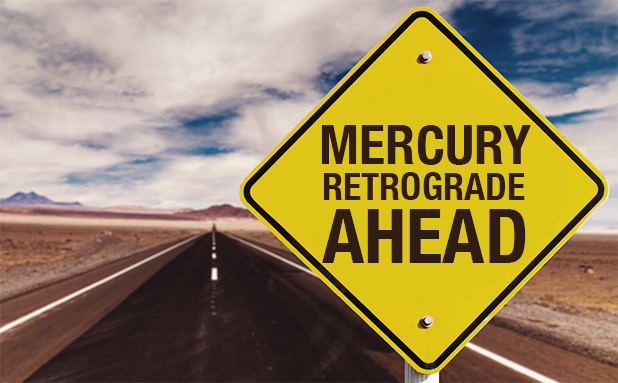 I am by no means an astrologer or claiming to have an expertise in this field, all I can do is tell you my own experiences and maybe help you through the rough time that can usually accompany it. I have found it can cause electronics to go crazy, people to be high strung and all sorts of other nonsense so it is important to be prepared for it, aware of it and plan as much as possible to help you get through it. Some of you at this point may not have a clue what I am talking about and that's okay, it doesn't affect everyone, or it could be affecting you and you are absolutely clueless. That's what this blog is about because it's something I was unaware of a good part of my life and I feel like knowing is as they say, half the battle.